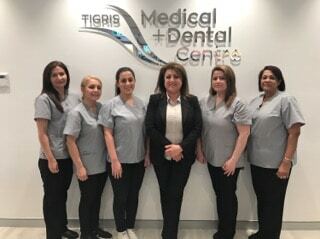 Tigris MDC is an excellent family medical and dental practice that can provide all your health care requirements under one roof. Our newly established clinic only use the latest state-of the-art facility with experience medical personnel and friendly staff. Our goal has always been to provide the best possible healthcare to our patients. 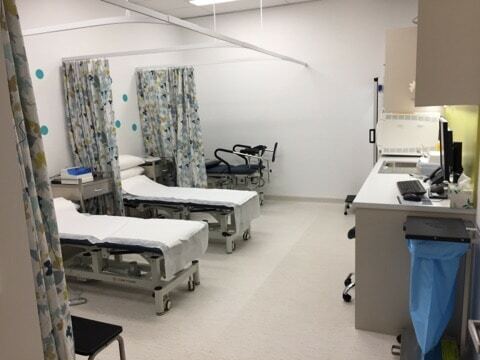 Our medical Centre is meticulously planned and has the latest in material equipment and furnishings. Our facilities are completely accessible to patients in wheelchairs and those with limited physical mobility. We also have ample and easily accessible parking space so you and your family would have no problems parking your vehicle. Dentistry – Our licensed and qualified dentist can handle all kinds of oral problems, including cavities, cosmetic procedures, gum problems, and root canal, etc. The procedures are pain-free and our dentists are calm and professional so you shouldn’t hesitate to book an appointment today. General Practitioner – Our GPs are experienced and well-trained. They can handle everyday health problems easily and offer honest advice on chronic health problems, lifestyle, and exercise. Physiotherapy – Our trained physiotherapists can help you recover from physical injuries and surgeries. They’ll provide assistance with mobility problems and issues like frozen shoulder and carpal tunnel syndrome, etc. Pathology – Our fully-equipped pathology lab can handle all kinds of testing. We have a team of excellent lab technicians that work quickly and deliver accurate results. Minor Surgery – Our medical centre in Liverpool can also handle minor surgeries in-house so you don’t need to visit another facility for small procedures. We’re located in the heart of Liverpool, within easy reach of the train station and major roadways. Our doctors and dentists will be available to you from Monday to Saturday and our office hours are 8AM to 8PM. If you want to book an appointment, all you need to do is call our front desk and explain your requirements. Our staff would make arrangements according to your convenience. We value your health and privacy and limit access to your medical files. Your medical information is strictly confidential and we make sure it’s secure. You will never have to worry about any sensitive information falling into the wrong hands.